Disclaimer: I was provided with products in order to give my honest opinions. Your views may differ to mine. Please enjoy responsibly. Thank you! Here is a stiff drink that will welcome in 2017 with a kick - George Dickel's No. 12 Tennessee Sour Mash Whisky. Straight out of the bottle the aroma hits you with a bang. A strong, present and ready to go is standard here with an invitation to come and play. On the rocks, with nothing mixed in, this one gets you from the beginning, hitting your lips with a "hey, i'm here", broad, warming flavors, grabbing the back of your throat with hints of peppery vanillas and caramels, even a little honey or sweet sugar in this fine hitting drink with a bit of a growly finish. This is not a drink to be dainty with, it means business and it hits your right where you need it. Perfect just as it is, to put a little hair on your chest and to warm the nights on some cold rocks. I also really enjoy this one in a little coffee. This particular blend mixes very well with lemon and lime sparkling water, or a little lemonade. It is fine with cola, too, but for the real deal, on its own, on the rocks is best for my own personal taste buds and the coffee makes for a perfect digestif (after dinner drink). 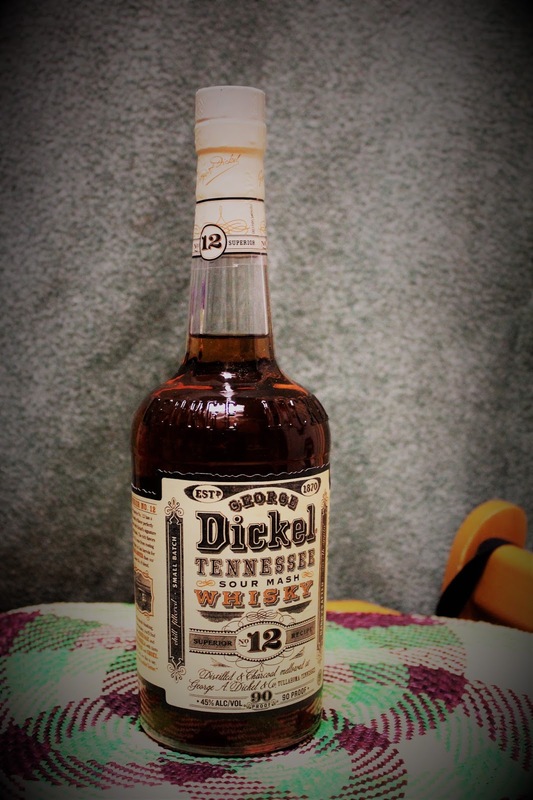 For some more complex recipes, you can head on over to the website and check out the Dickel Tennessee Tuxedo, the Dickel Frozen Mint Shake or the Dickel Whisky Sour, which is absolutely delicious! Bring this to your party, give it to your host, you're going to have such a good time and they are going to thank you for it! If whisky is your thing and you like it dark and enticing, then this is for you!